Bethesda is special. Its status as a census-designated place would be enough to separate it from many well-known population centers, but the story of Bethesda offers far more than this bit of trivia. It offers a narrative about the development of the United States, its capital, and a cornerstone federal institution. It weaves rural and urban interests with public and private investment. In the end, it explains how a quiet country way station transformed—in just a few decades—into a national leader for achievement, education, and quality of life. Around 16,000 BC, as the last ice age began its retreat, temperate weather slowly returned to the Mid-Atlantic. By 9500 BC, Paleo-Indians inhabited the Chesapeake Bay region. Generations of these Paleo-Indians witnessed the gradual formation of hardwood forests and coastal wetlands, subsisting primarily on local nuts and fish. Evidence of these hunter-gatherers survives in the Clovis points that archaeologists have found and identified. As centuries passed, the melting ice flooded area rivers, and the Chesapeake Bay gradually took shape. Yet it was not until 2,000 years ago that the bay settled on its present form. Around that same time, and continuing for 1,000 years after, indigenous communities shifted from dependence on bow-and-arrow hunting to more sedentary, agricultural societies. There are traces of permanent settlements in Glen Echo and Cabin John, although the largest indigenous communities were in Georgetown and Anacostia. Established, growing populations fostered development of complex trade networks, but they also increased competition for land and resources. This competition, in some instances, led to conflict. Algonquin speakers, for whom many area rivers—including the Potomac—are named, were the dominant local culture. By the time of European arrival, war and disease had already diminished indigenous communities, and many of these prominent settlements had been abandoned. Englishman John Smith mapped the Chesapeake region in 1608, but fur trader Henry Fleet was the first European to venture into the area that would later become Bethesda. Fleet sailed up the Potomac River four miles past Georgetown. There, he encountered the Piscataways, who had formed a loose confederacy of villages along the eastern shore of the river. For two years, Fleet was either a guest or prisoner of the Piscataways—the historical record is unclear—but his time in the area secured his position as a trusted source of information on Maryland. After he returned to England, Fleet published accounts of fur-rich tribes and the prospect of gold, which grew interest and financed his return to Maryland, where he served as translator and guide for early colonists. He later won proprietary rights to 2,000 acres and became a member of Maryland’s colonial legislature. Growth in the Province of Maryland led to the formation of local government via counties. Boundaries tracked along land patents issued by the Calvert family, which had won the right to form the colony through a charter granted by King Charles I of England in 1634. Most early Maryland landowners were absentee landlords who had little interest in living on or improving their territories. A tax on land holdings, known as the quitrent, was collected regardless of the land’s productivity. This made land ownership expensive and dissuaded settlement in Maryland; other colonies taxed land relative to production. For most land owners, the financial solution for maintaining their holdings was tenant farmers. Scottish, English, and Welsh farmers—both free and indentured servants—were the first Europeans to till the Maryland soil. Later, Germans, Swiss, and Dutch colonists from Pennsylvania moved south into the Montgomery County region. While most tenant farmers worked small plots with their families, larger farms depended on African slave labor. Tobacco was the key crop in Maryland, and though its quality fell short of that produced in Virginia, its cultivation was central to the colony and its history for more than a century. The labor-intensive production of tobacco heightened dependence on slave labor, and tenant farmers had few agricultural alternatives—taxes were paid in tobacco, and contracts required its cultivation. Tobacco extracts virtually all nutrients from the soil, and its focused cultivation quickly exhausted lands. As a result, colonists continued to clear land and push northwest along the Potomac in search of fertile soil. This northwesterly migration led to the first land grant in the Bethesda area in 1694. 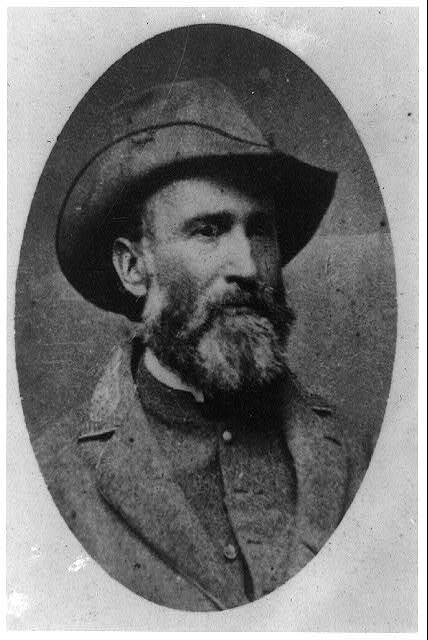 The 710-acre “Forrest” grant, located two miles west of Rock Creek, was surveyed for Colonel Henry Darnall. By this time, the Native American presence had already moved farther west or been extinguished entirely by disease or violence. Early relations with indigenous groups generally avoided outright conflict, although forays from Senecas and Susquehannocks from the north resulted in periodic skirmishes. In response, the colony created the Maryland division of Rangers the same year as the Forrest grant to Darnall to patrol the frontier region. Georgetown quickly became the economic center of the Montgomery County region, with the earliest Bethesda-area farmers sending their tobacco down crude roads to the budding merchant city. Bethesda’s location along the main road running from Georgetown to Frederick made early settlement possible, but it remained decidedly rural. The few imposing summer homes that dotted the hills stood in stark contrast to the simple, one-room cabins more representative of the community. While these rudimentary eighteenth-century structures did not last, one etched itself permanently in American memory: the cabin of Josiah Henson, the model for Harriet Beecher Stowe’s novel Uncle Tom’s Cabin. Still standing, the cabin is located in the Luxmanor subdivision of Bethesda. Rural tobacco farming defined Bethesda throughout the 1700s. As conflict between the American colonies and England grew, Maryland, aware of its dependence on tobacco exports, was tentative. The First Maryland Convention in June of 1774 agreed to suspend imports but to stop exports only if other colonies approved similar plans. The war for independence spared Maryland soil from battle, though the bay area saw naval action, and Maryland supplied and equipped American soldiers fighting on other fronts. Bethesda, comprised of roughly two dozen families in 1776, officially became part of Montgomery County on September 6 of that year, when Frederick County was divided into three parts. The other component of the triumvirate, Washington County, reflected the patriotic mood—General Richmond Montgomery and General George Washington inspired both names. It was the first time a Maryland county was named for someone other than a member of English royalty or the Calvert family. American independence affected Bethesda and Montgomery County in unexpected ways. The Confiscation Act of 1780 redistributed many area lands, as Loyalists and European merchants unwilling to pledge allegiance to the fledgling nation saw their properties auctioned in 1782. 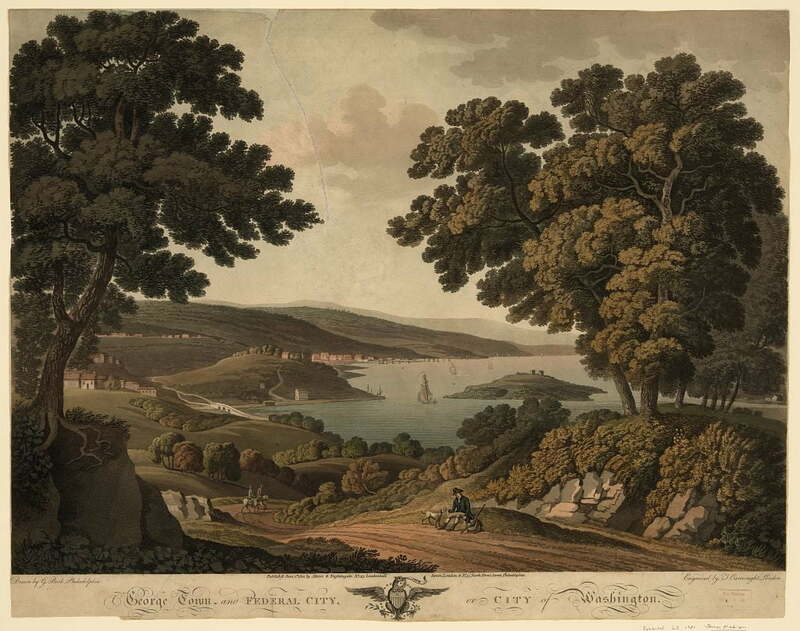 At that time, Robert Peter was the wealthiest resident in the Georgetown area, with some 20,000 acres of property, including a number of Bethesda farms. Only five other landowners held at least 3,000 acres. Independence did not guarantee economic prosperity, and in 1784 tobacco prices fell due to surplus production. British merchant demands for repayment of prewar debts and the steady decline of soil quality forced many farmers into default. Some left to pursue new lands in western North Carolina, and the population of Bethesda and the surrounding county, still sparse, declined. It surpassed pre-independence levels for just a single decade between 1790 and 1860. The creation of Washington DC in 1790 had a greater impact on the region, even if the event went largely unnoticed on small farms in Bethesda. The Residence Act of 1790 extracted 64 square miles of land from Montgomery and Prince George counties, including Montgomery County’s principal city of Georgetown and the valuable tax revenue of several large farms. Throughout Bethesda’s history, transportation was central to development. 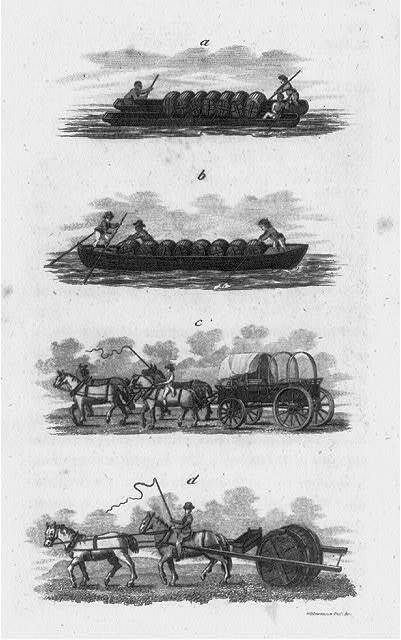 The early 1800s promised two catalysts: the turnpike system and canals. While the latter never materialized, with projects often abandoned on account of insurmountable technical challenges, the turnpike system had an operational tollgate in Bethesda by 1829 that continued to collect fees into the 1880s. The improved roads of the Washington and Rockville Turnpike connected Georgetown and Frederick as travelers and merchants moved north and south through the state. Bethesda remained a way station, but its location along the turnpike sustained a local inn. 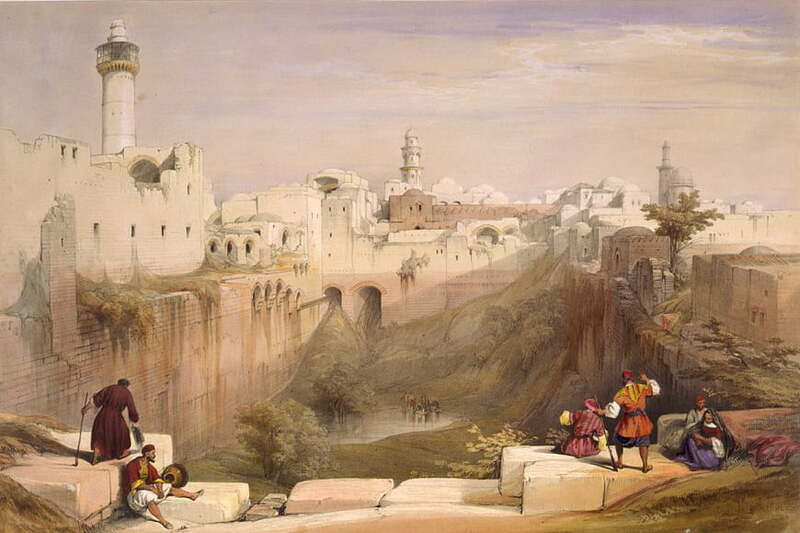 As the nineteenth century progressed, two crises developed. The first was the area’s tobacco-exhausted lands, which were exceptionally depleted in Montgomery County, the “Sahara of Maryland.” The depleted soils made the county synonymous with poverty. A solution arrived through the ingenuity of William Stabler, a Quaker farmer in Sandy Springs. 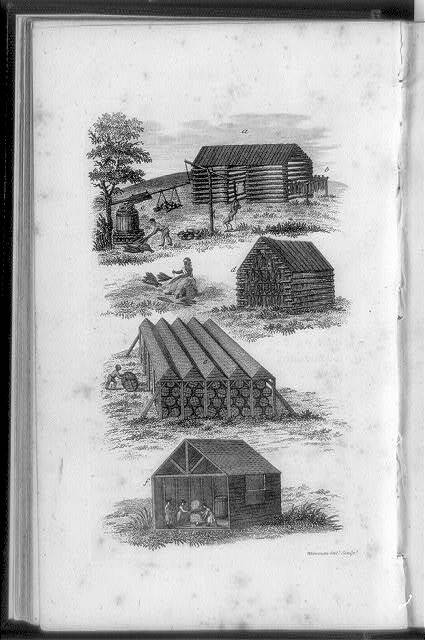 Quakers were known agricultural experimenters and formed societies to share insights on fertilization, crop rotation, and plowing techniques. Stabler discovered that Peruvian bird guano could revitalize fatigued lands. Though there were limitations of supply and cost—production of a synthetic version was still years away—Stabler’s discovery saved Montgomery County lands. With soil renewed, Bethesda farmers moved away from tobacco production and planted other crops, such as corn and wheat. Dairying and animal husbandry of chicken, sheep, hogs, and cattle also expanded. The second crisis would be of national proportions. Changes to farming practices and the introduction of mechanical reapers sharply impacted slavery in Maryland. Efficient technology and the shift to seasonal harvesting made farmers less dependent on slave labor. Many simply released their slaves, as the cost of slaveholding exceeded its economic value. By 1850, Maryland had more free blacks than any other state. About 40 percent of Maryland blacks were free—some 75,000 people. The presence of so many free blacks generated fear among white Marylanders, who lamented the “corrupting” impact free blacks had on slaves and the “undo independence” free blacks enjoyed. This division of society among whites, free blacks, and slaves was different in Montgomery County, where only 8.3 percent of blacks were free, even as the black population accounted for 40 percent of all residents. This second crisis—the question of slavery, economic and moral—came to dominate conversations not just in Maryland but throughout the nation. As the United States edged toward Civil War, Montgomery County, and the state in general, remained divided on the question of slavery. Northern Maryland, including Baltimore, had largely unshackled itself from slave labor, while Southern Maryland remained dependent. Montgomery County was split between those two worlds. Still, the political leaders of Montgomery County were wealthy landowners—those most likely to have economic futures pinned to slaveholding. At the 1860 census, the county had 770 slaveholders, though only 24 percent had more than 10 slaves, and just one had more than 100. Overall, the county had 18,322 inhabitants, of whom 5,421 were slaves and 1,552 free blacks. Following South Carolina’s secession in 1861, Maryland legislators passed resolutions protecting the rights of slaveholders but rejected the more dramatic measures taken in Columbia. A special legislative session in pro-Union Frederick, not Annapolis, ensured that Maryland would not secede despite support for the Confederacy in southern and eastern agricultural areas. Bethesda forts would help defend the capital, not attack it. With its location along the Washington and Rockville Turnpike, Bethesda guarded the roads to Washington. Union armies constructed several forts in Bethesda, the largest of which was Fort Sumner, named for General Edwin Vose Sumner, a veteran of the Black Hawk and Mexican wars. Into 1862, the prevailing mantra was “All quiet on the Potomac.” Yet while that was true, occupied forts were a reminder of the broader conflict. Manned forts provided a ready market for Bethesda goods, but they also led to the occasional disappearance of a chicken or missing fence post taken for firewood. The push and pull of warring armies soon exasperated—and endangered—the local population. Confederate General Robert E. Lee began his audacious push into Union territory after the Second Battle of Bull Run in late August 1862. Lee hoped that a successful campaign would win European support for the Confederacy, and, by putting Union forces on the defensive, allow Virginia farmers an opportunity to harvest their crops. Four months later, Lincoln issued the Emancipation Proclamation on January 1, 1863. It had no direct effect on Maryland or any of the Border States, although it led to an increase of runaway slaves and those joining Union forces in battle. To support Lee for the pending and climactic Battle of Gettysburg on July 1–3, 1863, James Ewell Brown (J.E.B.) Stuart pushed northward through Montgomery County with three cavalry brigades. As he reached Bethesda, he intercepted the tail end of a train of 150 Union supply wagons. Stuart captured 125 wagons and hundreds of prisoners, including local pro-Union civilians. Many Confederate sympathizers in Bethesda welcomed him and cheered his achievement. After releasing his prisoners, Stuart continued northward. But his circuitous route—and ignorance of the position and progress of other Confederate armies—caused him to arrive at Gettysburg too late to support Lee. 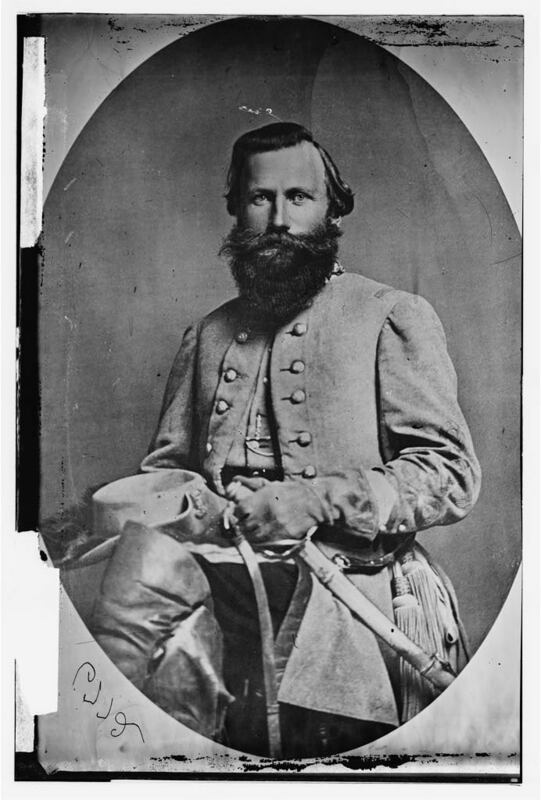 His absence in the early fighting, traced to his detour in Bethesda, is often cited as a primary cause of Lee’s loss in the Civil War’s most pivotal battle. Skirmishes led by Confederate Lieutenant General Jubal Early against Union forces on the Washington and Rockville Turnpike caused brief panic in July 1864, with some Bethesda residents burying valuables and running away in anticipation of a full-scale attack. A one-day engagement took place at the Old Stone Tavern in Bethesda, dismissed as a raid by Union authorities but later, and more dramatically, recounted as the Battle of Bethesda. On November 1, 1864, Maryland abolished slavery, though the fate of the Peculiar Institution was in no doubt by then—Congress passed the 13th Amendment in January 1865. For newly freed blacks, abolition failed to address the persistent social, economic, and political equality. Civil War hostilities officially came to a close on April 8, a week before Lincoln’s assassination. Despite 620,000 Civil War deaths and the abolition of slavery, the Bethesda area, having purged itself of reliance on tobacco decades before and with only a scant population, quickly returned to its antebellum life as a quiet, rural town. It took two more transportation revolutions to transform Bethesda. William Darcy managed one of the few commercial establishments in the area, known simply as Darcy’s Store. Darcy also served as postmaster, and the quiet crossroads along the turnpike between Georgetown and Frederick had been known simply as Darcy’s Store. On January 23, 1871, Robert Franck took over postmaster responsibilities and relocated the post office. The Presbyterian Bethesda Meeting House, located just up the pike, had taken its name from the biblical Pool of Bethesda, noted for its tremendous healing powers. Franck truncated the name to Bethesda, winning the anecdote a foundational place in town history. Seven years later, Montgomery County Commissioners established the Bethesda Election District, District 7, which covered some 35 square miles. A few years before, at the close of the Civil War, the metropolitan branch of the Baltimore and Ohio (B&O) Railroad won approval for its charter, and its northwest–southeast rail line came into service in 1873, cutting diagonally across Montgomery County. The train offered the first realistic opportunity for suburban development in the county by making it possible for Washington DC residents to become commuters and enjoy the fresh air of the country, and for Montgomery County residents to seek employment beyond farm life in the city. By 1880, two dozen trains rolled through each day. The earliest suburban growth concentrated closely to the rail lines, and Bethesda was not on the list of stops. As a result, the real estate boom neglected Bethesda. Moreover, the rail line lowered dependence on the turnpike, in effect diminishing Bethesda’s importance within the county. Alta Vista, the first true Bethesda neighborhood, appeared in the 1880s, but Bethesda was still primarily a collection of small farms with a couple of country stores, blacksmiths and other tradesmen, a tavern, and the trappings of an agricultural community—windmills, barns, and the like. 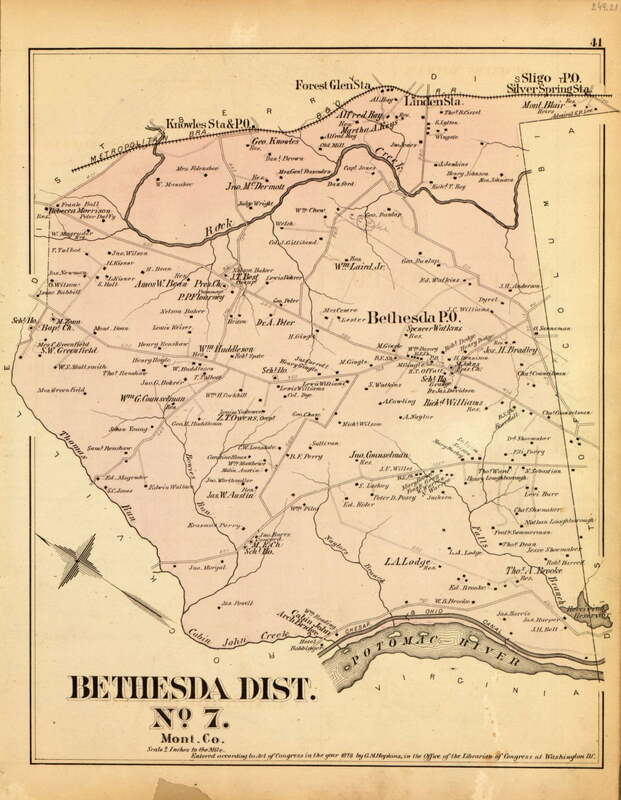 Then, in 1891, Bethesda earned its spot on the Montgomery County map. The trolley arrived. 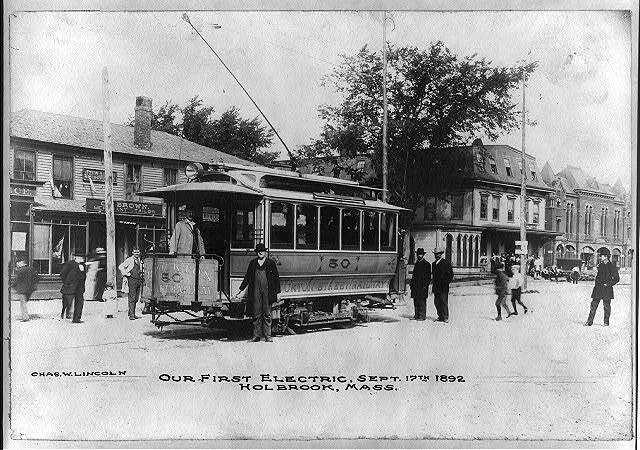 Electric trolleys were a brief but potent rage that started in the late 1800s, with the first successful streetcar system running through Richmond, Virginia. The trolley line to Bethesda opened the possibility of suburban development, but it also supported the creation of Bethesda Park, an amusement park constructed by the trolley company to lure evening and weekend riders. Located at the end of the line, Bethesda Park was an immediate success, awing crowds with a zoological park featuring panthers and other animals, as well as a steam-heated botanical garden with exotic plants from around the world. Live shows supplemented these exhibits and drew regular summer crowds. The Panic of 1893 stemmed suburban development and also made Bethesda Park home to traveling shows, rather than fixed entertainment. A devastating hurricane in 1896 swept through the Chesapeake Bay area and destroyed the entire park. It was never rebuilt, and the park’s brief celebrity faded. Suburban development in adjacent areas like Chevy Chase, a hamlet carved especially for the elite of Washington DC, accelerated. Yet development restrictions in places like Chevy Chase, which forbade commercial development, would later work in Bethesda’s favor. And nothing could match the impact of the personal automobile, which finally untethered suburban development from fixed rail lines and ignited decades of exponential growth in Bethesda. These developments hinted at coming progress, though the centrality of rail to suburban development still limited growth in Bethesda. In the final decades of the 1800s and into the first decade of the 1900s, the strong correlation between population and proximity to rail highlighted the connection. Without abundant local industry, the opportunities to make a living in Bethesda were farming, meeting local demand for building trades, or commuting to the capital. Bethesda finally got its railroad in 1910, an 11-mile stretch of the B&O, but the rail line served freight traffic exclusively, a “coal and construction” railroad. 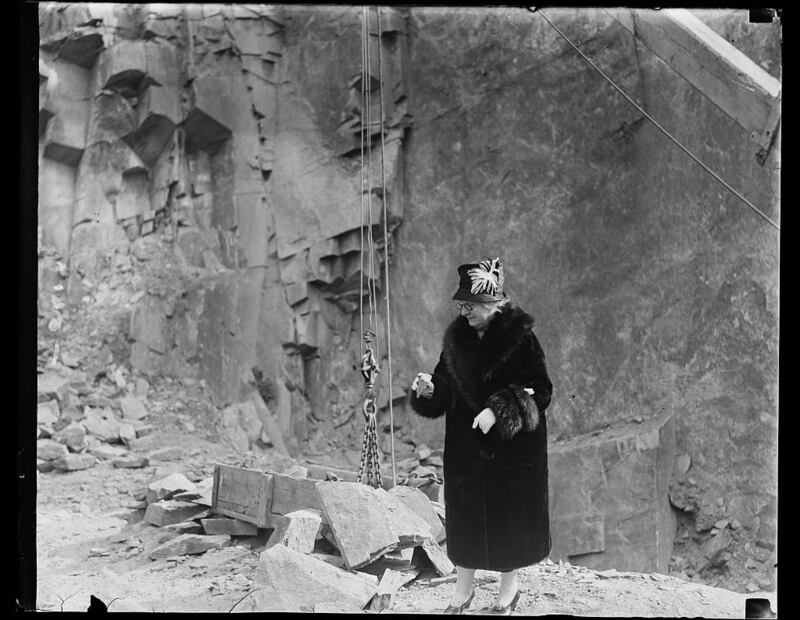 The railroad nursed a small quarrying and stone-cutting industry but never attained transformative influence. For many residents, it was simply a blight on their bucolic landscape. That same year, the Bethesda Central Switchboard came online, leading to a vast increase in telephone service. Before the switchboard, the only telephone, located in Darcy’s Store, offered the caller an opportunity to have a message passed to William Darcy, who would then relay it to the next passerby headed in the direction of its intended recipient. There were 1,000 telephones in Bethesda by 1920. The personal automobile finally liberated Montgomery County from the constraints of rail and trolley lines. For Bethesda, this meant not just the possibility of development but also development with foreknowledge of the automobile and its impact. Unlike earlier suburbs, Bethesda would grow with the benefits of the motorcar at the forefront of developer minds. Maryland’s foresight to build a network of highways—the state constructed more than 1,300 miles of roads between 1910 and 1915 to connect Baltimore and all county seats—accelerated the impact of the automobile. From 1910 to 1920, Bethesda’s population jumped from 3,217 to 4,757, with farming communities gradually extinguished in the southern-most parts of the county, though farming remained the primary use of land and employment countywide. Transitioning Bethesda into the place it would become required new technology, like the personal automobile, but also vision—a desire to awaken Bethesda from its rural slumber. 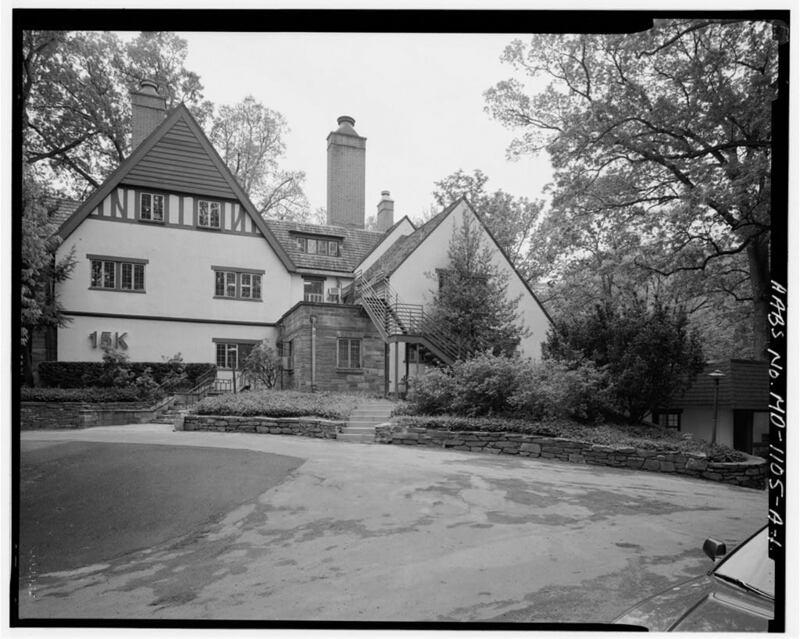 Walter Tuckerman led that effort, having moved to Bethesda in 1913 to develop Edgewood (renamed Edgemoor), an upscale neighborhood. In 1919 Tuckerman spearheaded establishment of the Bank of Bethesda and was rewarded by his selection as the bank’s first president. Neighborhood development created a need for greater infrastructure. That need was made more apparent by the increasing use of the automobile, which spawned public demand for traffic lights and sidewalks, as well as consumer demand for car dealerships—which were often quick to appear, rise, and disappear—and garages and gas stations to maintain the new way of life. But the most pressing need for infrastructure was water and sewer management. Regular outbreaks of typhoid and complaints of polluted streams by downriver residents of Washington DC challenged the burgeoning suburb. The capital was not interested in sharing its water supply or treatment facilities, either. Bethesda’s solution came through the state-sanctioned Washington Suburban Sanitary Commission (WSSC), formed on May 1, 1918. The commission’s immediate project to handle water and sewage issues began with the purchase of the existing splintered and dilapidated network. Through repairs and new construction funded by real estate taxes, the commission began delivering potable water to Bethesda residents by 1920. This early success was key to the expansion of WSSC powers: The state extended the WSSC’s mandate to include regulation of neighborhood development, road locations, and utilities in 1922, helping to organize previously erratic and increasingly frenetic growth in Bethesda. Battery Park, a 52-acre development, was the first Bethesda neighborhood formed with the benefit of WSSC planning. Zoning laws remained absent, however, and residential and commercial development typically followed closely in time and space. By the mid-1920s, just three decades after the trolley brought the town its first taste of stardom, Bethesda had become the center of suburban development in Montgomery County. While the count of buildings in 1926 included only one bank, three garages, five coal yards, two feed stores, two barbers, three lunchrooms, a grocery, drugstore, hardware store, and fourteen-classroom schoolhouse, a full 40 percent of the 647 building permits issued that year were in Bethesda. 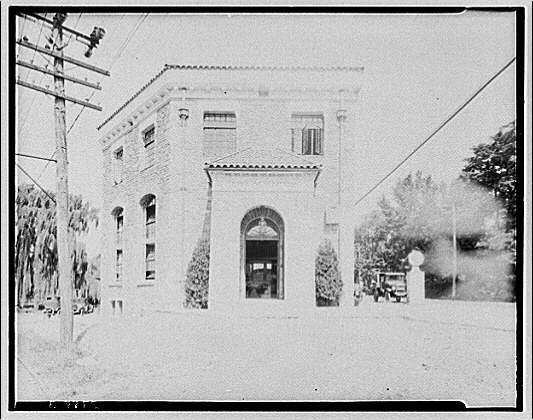 The Bethesda Chamber of Commerce, formed in 1925 with Tuckerman as its first president, saw the need for additional services, especially fire and police departments. Tightly spaced neighborhoods represented a catastrophic fire threat unlike the sparse, rural community of decades past. Firehouse No. 6, the first in Bethesda, was dedicated on December 16, 1926. For their part, police had seen a vast increase in need not simply from the added population but also from the burden of enforcing traffic laws and prohibition. A formal police force replaced rural constables that same decade. Development and added services created an acute need for funding. E. Brooke Lee, who had spearheaded the push for the creation of the WSSC, proposed that the Bethesda Election District become a special taxing area. In addition to funding fire and police services, the revenue would support a better school system (through the late 1800s, education, especially in rural Montgomery County, was considered primarily a private responsibility), manage public parks, zoning, and waste management. 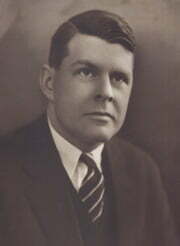 The state legislature passed Lee’s proposal in 1927, which also established an independent executive to manage the revenue and budget of the special taxing area. Notably, this signaled a firm break between up-county and down-county areas, with the rural up-county critical of the down-county’s ballooning of land values and consumption of tax dollars. For its part, Bethesda and other down-county residents complained that political power still resided with the up-county’s old-money, landed elites. The Maryland-National Capital Park and Planning Commission (M-NCPPC) was also created in 1927. It expanded the existing powers of local government with the authority to tax and issue bonds to support purchase of park land. The M-NCPPC also developed master zoning and subdivision plans to supplement existing development regulations. A reassessment of Montgomery County in 1928 showed that of the $70 million of total property value, $30 million was located in Bethesda. When Black Tuesday ushered in the Great Depression on October 24, 1929, Bethesda saw a quick halt to the development projects that had nearly tripled its population from 4,757 in 1920 to 12,018 by the end of the decade. But, while the rest of the country reeled for most of the 1930s, Bethesda saw the pace of construction return in just five years, when building starts returned to their pre-crash levels. Without established industry, job losses in Bethesda were comparatively minimal, and expansion of the federal government under Franklin Delano Roosevelt secured and expanded public sector employees working in Washington, many of whom sought a home outside the urban bustle. In 1940 the federal government was the county’s largest employer, with some 7,700 county residents on its payroll. Up-county farmers fared less well. Agricultural prices plummeted, leading to mortgage default and unpaid property taxes. The Agricultural Act of 1933 offered subsidies to align production with reduced demand. It provided relief for some; for others, it was too late. 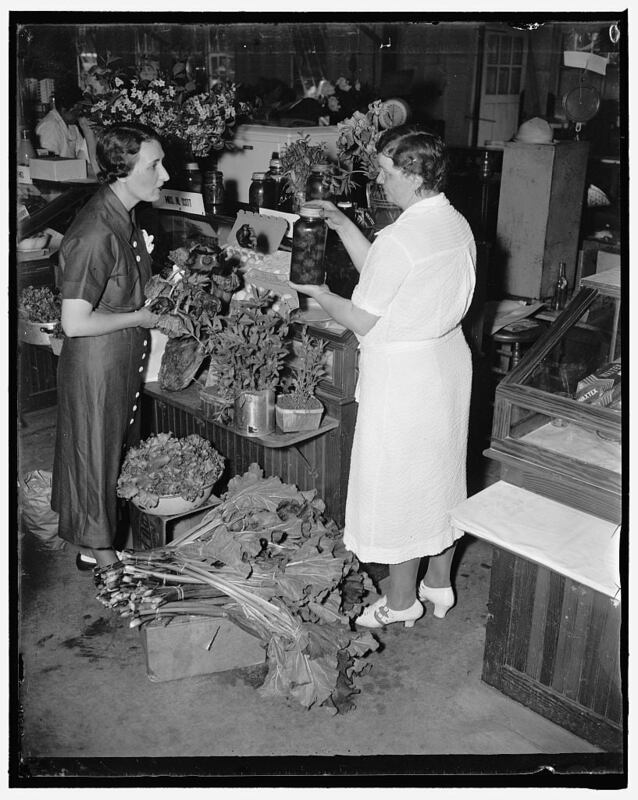 In 1932 a group of Bethesda farm women came together to sell products in a vacant Bethesda store. Christened the Montgomery Farm Women’s Cooperative Market, it was an immediate success and soon had more than forty members as well as capital stock, a board of directors, and a paid manager. More than 80 year later, it is still in operation. As an expanding suburb, Bethesda was nearing the limits of its geography. While the personal automobile had dramatically restructured the town, a land donation by a wealthy Bethesda couple soon changed the course of local history again. It also served as the catalyst for Bethesda’s modern reputation as one of the wealthiest, most educated places in the United States. Suburban growth always looks inward, toward the metropolis that sustains it. While suburban residents may seek to escape the urban din, they remain dependent on the city center for employment, if nothing else. The same was true for Bethesda in the early twentieth century. Whether long-time residents traveled into the capital for work, or long-time capital dwellers moved out to the “country,” Washington DC remained the axis. Luke and Helen Wilson, prominent Bethesda residents, had straddled the divide. Both came from wealthy families. Luke was the son of a clothing importer and made frequent trips across the Atlantic to manage the business. 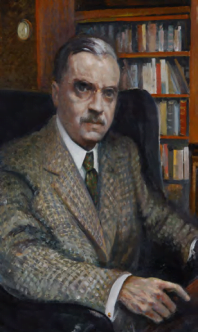 In addition to helping maintain and grow his wealth, his travels honed his interest in international relations, particularly after World War I. In their later years, the Wilsons began considering their legacy and looked for ways to donate their 90-acre Bethesda estate, Tree Tops, to cement it. Their initial thought was to establish an international center that might improve international relations and avoid future conflicts. But the idea had poor timing: They began the search for supporters in 1930, just after the Great Depression had taken hold. This, and other ideas, failed to attract collaborators. Exasperated, they wrote to President Roosevelt in 1934 to announce their intention to donate the land to the federal government. That letter, circulated throughout the administration, did find an interested suitor—the National Institute of Health. The National Institute of Health traced its origins to 1887 and a one-room laboratory that studied and monitored immigrant diseases at the Marine Hospital in Staten Island, New York. In 1891 the facility, renamed the Hygienic Laboratory, moved to Washington DC. There, it won authorization for the construction of a single building, but its mandate continued to outstrip its facilities, with an ever-expanding list of responsibilities that included regulation of vaccine production as well as research on various diseases. The NIH’s need for additional space became acute during 1933–34, when it desperately needed more room to house its stock of animals used for testing vaccines, serums, and other experiments. This was the NIH’s focus when the Wilson’s letter reached Assistant Surgenor General Dr. Lewis Thompson. Thompson actively courted the Wilsons, who also received interest from other federal agencies. Within Bethesda, a number of residents resisted the proposal, fearing that the “animal farm” would risk local health and damage the tranquil, residential character of Bethesda. But the Wilsons were convinced that the transformative power of medical advancement could secure the legacy they desired and serve Bethesda. In August 1935 they donated 45 acres to the project. That same year, the Social Security Act of 1935 expanded health funding, opening new possibilities for the Wilson’s land and the NIH. Surgeon General Thomas Parran, with the additional $2 million in funding from the Social Security Act in mind, decided to move the entire NIH facility to Tree Tops. The $100,000 animal farm was now a $1.46 million project. 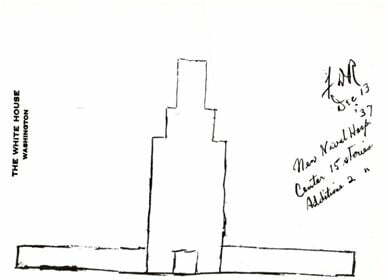 The creation of the National Cancer Institute (NCI) in 1937, which received sponsorship from all 96 U.S. 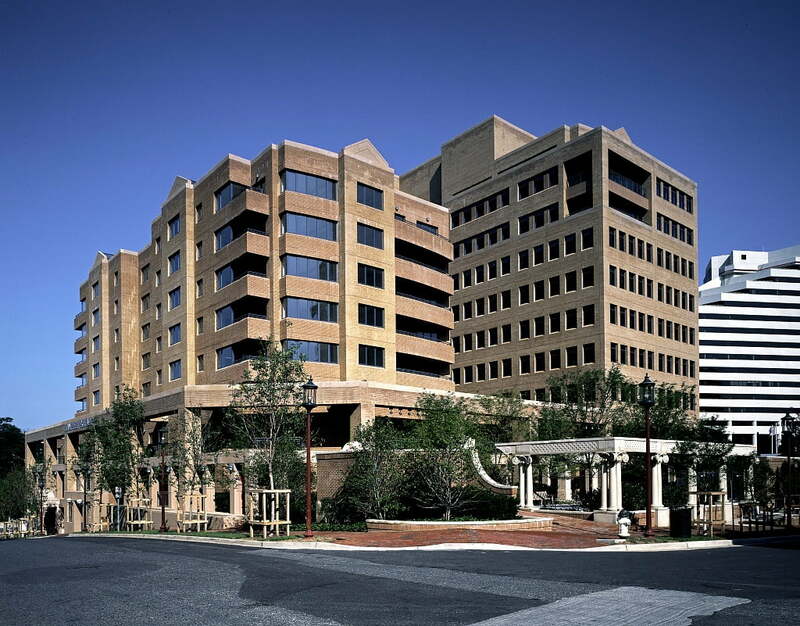 Senators, added to the NIH expansion in Bethesda. Luke Wilson died in 1937, and Helen gave another 25 acres of the Tree Tops estate to support NIH construction. Construction on Building 1 began on January 11, 1938. By December of that year, it was operational. The remaining buildings were completed by June 1940, an achievement punctuated by a dedication from President Roosevelt in October. The NCI was the final building, Building 6, of the initial construction. In addition to the NIH, the National Naval Medical Center also moved from Washington DC to Bethesda, beating out more than 80 other sites. (President Roosevelt is believed to have personally preferred and chosen Bethesda.) It was completed in 1942. Almost overnight, Bethesda was home to hundreds of new jobs—the NIH employed 1,137 people by 1940—many of which could be filled only by exceptional, highly trained doctors and scientists. Contrary to public fears, the neighborhoods surrounding the NIH campus soon became some of the most popular in Bethesda. And it was just the beginning. Coinciding with the construction of the NIH was the publication of Bethesda’s first newspaper, the Bethesda Chevy-Chase Tribune, in 1937. It was later supplemented by the weekly Bethesda Journal. A public library opened in 1940, reflecting the growth of intellectual culture as well as the dramatic rise in population, which had increased some 700 percent since 1920. Between 1930 and 1940 alone, Bethesda’s population grew from 12,018 to 26,114; nationwide population growth averaged just 7 percent during that same period. World War II claimed the lives of 316 Montgomery County residents. 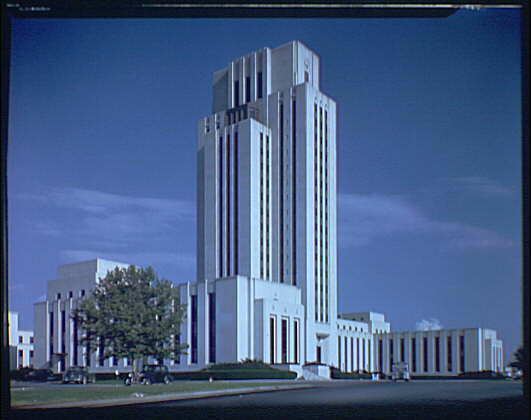 It also expanded the National Naval Medical Center, which went from an initial 1,200 beds to nearly 2,500 by 1945 to manage the burdens of war. Local Bethesda businesses started a “Buy in Bethesda” campaign, ostensibly to save gasoline and tire wear by supporting local retailers. Despite national policies of rationing and general shortages of some goods, building in Bethesda continued during the early 1940s. After the war, Montgomery County welcomed home its soldiers. As they reintegrated into the civilian world, the need for post-secondary education became apparent, in part because the GI Bill offered college tuition to members of the military. In 1946 the county established Montgomery Junior College, the first junior college in Maryland. Two years later, in 1948, Montgomery County became the first county in Maryland to adopt a home rule charter. The change in local government structure resulted from a Brookings Institution report in 1939 that indicted county commissioners for general poor governance, an official finding that many county residents had lamented for years. 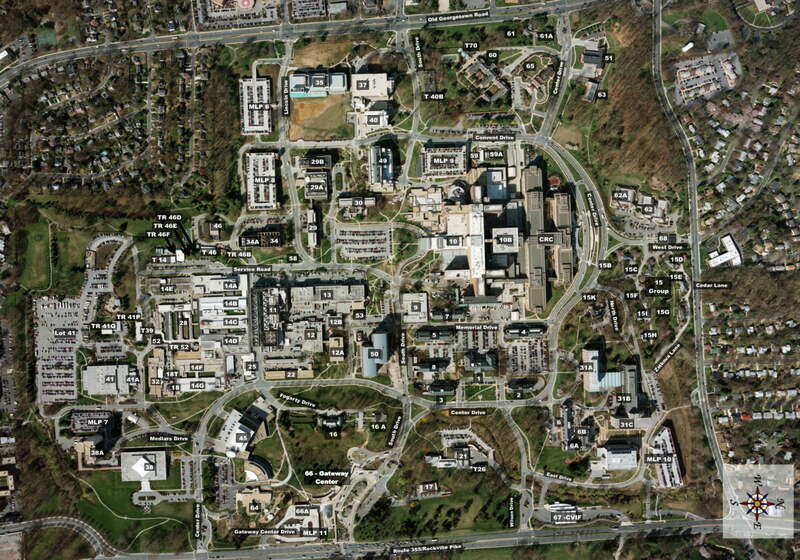 The NIH continued to do its part to spark growth and development in Bethesda. After the gradual addition of separate institutes to study various diseases, the National Institute of Health became the National Institutes of Health in 1948. The budget for its grants program jumped from $4 million in 1947 to $100 million ten years later. Its operational budget grew exponentially as well, from $8 million in 1947 to $1 billion in 1966. Budgetary growth slowed thereafter, partly in response to inflation but also because the NIH began competing for federal health appropriations in 1965 after the introduction of Medicare and Medicaid. Importantly, economic progress was not limited by federal expenditure. Private, high-tech industries followed federal researchers to Bethesda, creating a cluster of jobs on the cutting edge of science and technology. These jobs paid well and required high levels of education. And they are the jobs that continue to define modern Bethesda. Though apartment construction faced stiff opposition in Bethesda, the area could experience only so much growth before the only option was up. Between 1940 and 1960, high-rise apartment construction increased from just 10 percent to 30 percent of all housing units, led by the Pooks Hill development. More homes also meant more schools: The county built 50 grade schools during 1955–65. Similarly, the population boom brought in major retailers, shopping centers, and one of nation’s largest malls. By the 1960s, about forty years after the population boom began, Bethesda was not just bigger—it was more prestigious. That reputation, accelerated by the presence of the NIH, kept growing. In 1964 construction completed for the Capital Beltway (Interstate 495), a loop around Washington DC that enclosed Bethesda. “The Big Split” of Interstate 270 from the Beltway occurred just northwest of Bethesda, establishing a key transportation junction that fueled further growth of the high-tech corridor. An unexpected shift in the division between up-county and down-county began to take hold. Down-county residents, including Bethesdans, historically had favored development, in contrast to up-county residents committed to a more rural, agricultural existence. But down-county residents, concerned about the seemingly endless growth of Bethesda, advocated a slow down to the suburban sprawl, while up-county residents noticed that further development might soon make their farms worth millions more than the crops they produced. A final transportation revolution, the Metro train system, spurred another round of growth, especially for downtown Bethesda. 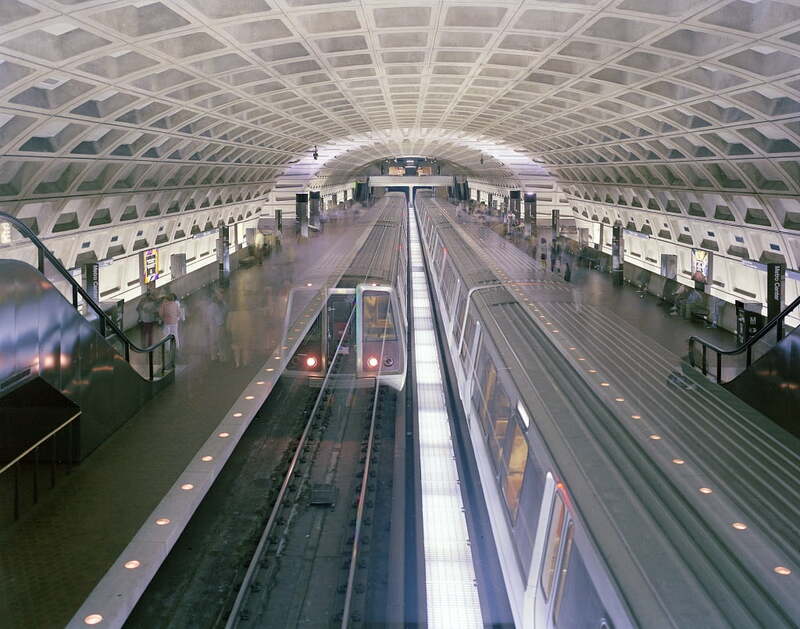 Metro trains began running in the capital by March 1976, but the Red Line didn’t reach Bethesda until 1984. In the interim, Montgomery County adopted a master plan to concentrate pending development around the Metro station. A pyramid development plan allotted space for high rises at the Metro station, with progressively tighter height restrictions for projects as they moved away from the station. Public spaces such as parks were designed to provide a buffer between development types. The Metro line stimulated growth in downtown Bethesda. Though suburban expansion had filled in down-county farmlands for decades, the downtown area looked similar from the 1930s through the 1970s. Soon, however, that antiquated vision faded, with large, modern office buildings taking the place of low storefronts. The area around the Metro became the Bethesda Central Business District, which included not just offices but restaurants, theaters, and shopping outlets—more than 200 of them. By the 1990s, a remarkable transition had taken place. Bethesda, once a bedroom community for capital employees, was home to three-quarters its residents’ jobs. The Interstate 270 corridor housed operations of more than 500 major companies by 2000, and the next generation of physicians and scientists were being trained at the Uniformed Services University of the Health Sciences, which graduated its first class in 1980. Bethesda was no longer a satellite of Washington DC; it had attained economic and cultural independence. Into the 2010s, Bethesda, the latest bloomer among Montgomery County suburbs, moved to the forefront of a nationwide trend: residents looking for a blend of suburban tranquility and walkable access to exceptional shopping and dining. This “new luxury,” epitomized by districts such as Bethesda Row, drew lifestyle comparisons to Aspen, Colorado, from the Washington Post, which positioned Bethesda as “one of the most upscale suburban downtowns in the United States.” Forbes named Bethesda America’s second “most livable” city in 2009 and the “most educated small town” in 2014. CNNMoney honored it as America’s top-earning town in 2012. For its part, the NIH continued to attract highly educated individuals—and churn out world-changing research. The Wilsons achieved their legacy: There have been eighty Nobel prizes awarded for NIH-supported research, including five to intramural NIH investigators, with achievements as grand as the deciphering of the human genetic code. Bethesda, a census-designated place defined only by its geographic center, has no physical boundaries. Whatever imagined boundaries existed in the minds of its earliest settlers, or even those ambitious drivers of change during the early twentieth century, continue to be surpassed.